Let us be your Human Resources, so you can be free to run your business. We can be your recruiting department or augment your recruiting team. 24/7 self-service online HR tools and resources; plus unlimited access to HR professionals via phone/email/chat. Need an extra set of hands or short/long term HR help during a transition? We’ve got you covered! Why choose strategic HR inc.? 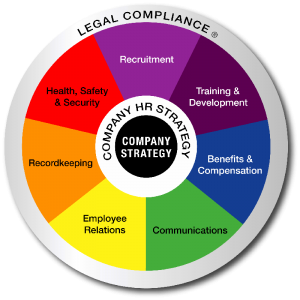 At strategic HR inc., our mission is to be a strategic partner providing custom human resources business solutions to help our clients attract, support, develop and retain a competitive workforce and achieve their business objectives. We understand that a “one size fits all” approach doesn’t work. That’s why we develop client-focused partnerships and innovative solutions. We’ve been providing human resources expertise to organizations of all sizes since 1995, and we’re proud to have been recognized as a leader in our industry. No matter how big or small your HR challenge might be, we’re here to help! Take Your HR Pulse for Free! This short questionnaire will provide you with a brief evaluation of your main HR functions.